The program takes a hands-on, experience based approach: We’ll build four complex Ember.js applications in six weeks. Starting the week of September 12th, we'll meet online for two hours twice a week. Each day will be divided into a lecture and a workshop where we will work through exercises and building applications. We will review the code that you write for these exercises and give you feedback. Throughout the course we’ll be available, during provided office hours, for questions in a chatroom. Erik Bryn is an Ember.js core team member. Erik has trained over 600 engineers, of various experience levels, how to use Ember. He's also worked with most of the largest companies using Ember including Square, Netflix, LinkedIn, and Sony. 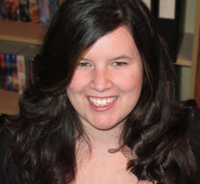 Katie Gengler has been developing web apps for over ten years. She has been using Ember.js daily since 2012. Katie is a member of the Ember CLI core team, wrote the popular ember-try addon, runs EmberObserver.com, and is an independent consultant. You’re a developer that uses or wants to use Ember day-to-day. You want to accelerate your learning and productivity by working with very experienced Ember developers. You’ve worked through the copious basic and introductory Ember material that is available and now want to learn advanced Ember skills. If have any questions, please contact us.